Will Ryanair and other budget players enter the fray? Ryanair may well gain traction from the airline wars with OTA's. Will Ryanair and other budget players enter the fray? Bloomberg carries the report than leading online travel business Priceline (PCLN) gained significant profits already this year. According to the quarterly release here (PDF) analyst fears the EU crisis would tumble tourism demand were unfounded. Q3 saw the company’s net income rocket some 27 percent y-o-y to $596 plus millions. Still more good European travel industry news exists in the form of the Stoxx Europe 600 Travel & Leisure Index leaping almost as high as Priceline’s profits. This report from BusinessWeek tells of excess cash on hand from a number of key sector players. In all, travel and leisure companies on the index returned investments to their investors to the tune of more than €16 billion euro, beating predictions and becoming the single highest return since 2003. As it stand now, the index shows value still up with lots of potential. The latest value being 141.45 and steady. 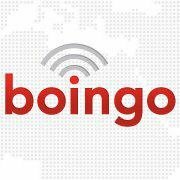 In less world shattering, but more travel cooler for Scandinavian travelers, Boingo will now to will run the Wi-Fi service in Oslo Airport Bergen Airport, and Flesland (BGO) and Stavanger Airport, Sola (SVG). The wireless company now has 20 such WiFi offerings across Europe. While this may not seem like big news for some, anyone who has ever prayed for better WiFi in a waiting space should have their attention tweeked. And, we already reported on budget airline phenom Ryanair’s unexpected revenue climb amid a bunch of carries low on fuel. The Dublin-based carrier just having reported sales at an eye popping 15% jump to some €3.11 billion euro. Despite their really ugly logo, Ryanair continues to beat predictions and competitors. The company only yesterday released a further report of passenger traffic for October being up 4%. Their good news just never seems to stop. Lastly, even despite some economic turbulence Europe’s biggest hotelier Accor seems unscathed to a degree. News from Reuters reflects that conglomerate’s refocus not just where organization goes, but on markets served. Europe will always be a tourism “have to” see market, but emerging destination dictate every corporate hotelier move. This is as it should be, as hotels serve guests – and guests are headed to other places like the US and Asia-Pacific destinations. 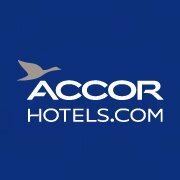 According to Accor boss Denis Hennequin, he intends on opening up some 110,000 rooms outside Europe, half of which will be in the Asia-Pacific region. Stay tuned for more good news in our weekend wrap-up.